Is the brewing industry going flat? June 12 and 13, 2018, the union representatives of thousands of brewery workers met in Edmonton to discuss the issues and challenges facing their members in all parts of Canada. In particular, they discussed the shift to cans in the North American brewing industry. This industry, unlike its European counterpart, is moving to eliminate brown bottles, despite the fact that bottles are clearly more environmentally friendly. Attendees discussed other issues such as stagnating working conditions, low numbers of new hires and the conversion of pension plans from “defined benefit” to “defined contribution” plans. These all constitute direct threats to workers, and the takeaway from discussions at the meeting is that in this industry, unions are workers’ last line of defence. The many reports submitted by representatives of the Service Employees International Union (SEIU), United Food and Commercial Workers Canada (UFCW), Unifor, and other unions highlighted an alarming fact: at best, most Canadian breweries are maintaining output, but under less favourable conditions, the industry is in decline. Looking at the larger picture, we see that beer from major brewers like Labatt and Molson is now competing with a broad selection of microbrewery offerings, in addition to wines, spirits, even energy drinks and coffees! Consumer habits have changed considerably in recent years, while major brewers seem to have trouble adjusting to this shift. The upshot is that some breweries are so old that their machinery is constantly breaking down; staffing levels are so low that workers are asked to work overtime for up to 21 consecutive days; some plants are so streamlined that considerably fewer workers are needed; and delivery is so often outsourced that subcontractors can get away with paying their workers starvation wages. Brothers Éric Picotte and Jean-Laurent Larouche, President and VicePresident respectively of the Teamsters Local Union at the Molson brewery in Montréal, as well as Yves Perreault, Teamsters Local Union 1999 representative, attended the annual meeting. 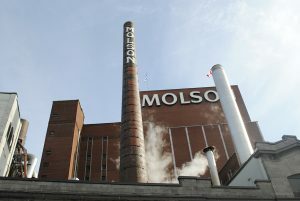 Éric Picotte submitted a report on the most recent bargaining, concluded earlier this year, at the Molson brewery in Montréal. He also spoke about the anticipated relocation of the brewery to the South Shore in 2021, which is causing anxiety among the approximately 550 members of Teamsters Local Union 1999. These workers are apprehensive that technological change and a more pronounced shift to cans will eliminate many jobs. The discussions also focused on the Quebec government’s inability to come up with a clear environmental policy favouring the use of capped brown bottles, acknowledged to be the most environmentally friendly container of all. In fact, the Teamsters asked to meet with Isabelle Melançon, Quebec’s Environment Minister, to discuss the environmental issues involved in producing more cans. Unfortunately, the Member of the Legislative Assembly for Verdun ignored our requests. 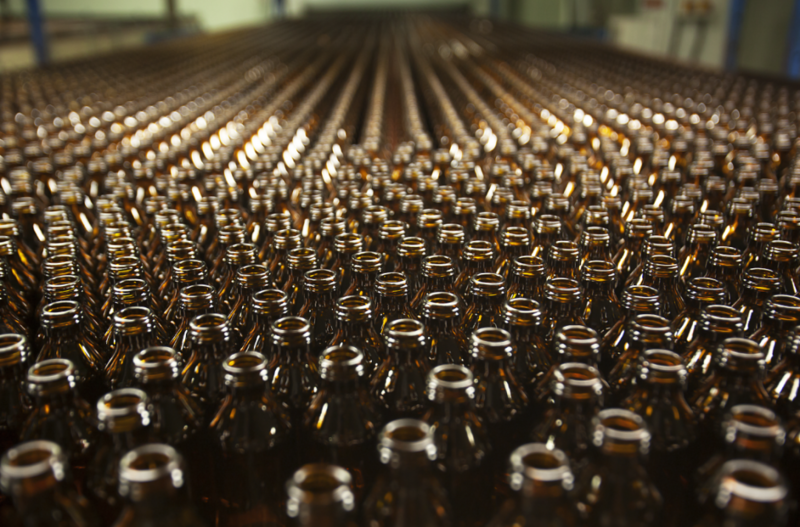 The Edmonton meeting also highlighted that a number of other unions in the rest of Canada, facing the same challenges as the Molson brewery in Montréal, are considering recycling the “Brown Bottles” campaign launched by the Teamsters three years ago. This initiative by brewery workers was a huge success, thanks to advertising on the radio, on the Internet, and in the daily newspaper La Presse+. Yes, brewery workers are facing hard times, but if we keep in touch with our sisters and brothers in other unions, we can develop closer relationships and effective strategies for defeating some breweries’ attempts to let working conditions stagnate, shed jobs, and use less environmentally friendly containers for their beer. Teamsters represent 120,000 members in Canada in all industries and more than 1,500 in the brewery sector. The International Brotherhood of Teamsters, with which Teamsters Canada is affiliated, represents 1.4 million workers in North America.